Infinite stroke, infinite possibilities-new Seyi servo presses are built from the ground up to meet the demands of advanced servo applications. As metalformers rethink the they form to gain new business using servo technology, they must rethink power, construction and control when selecting a press. 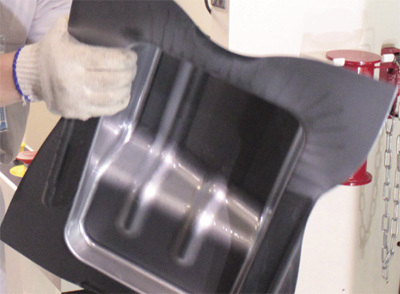 Show visitors will view the forming of significantly deep-drawn stainless-steel oil pans, in one stroke. Watch the pre-show preview video. See also: SEYI America, Inc.